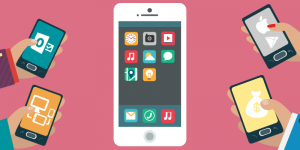 ﻿ Want to Create a Mobile Startup App? This Post Will Charge Your Day. “What is the right category for my mobile app”? Of all questions, this has always been the most difficult, which can make a new mobile startup think about. Herein, we’ll combine some insights of growth of the apps, which will surely give a new hope to mobile startup. Let’s check out what’s inside? Are you one of the tech startups, who operate maximum in the web and mobile sectors? If you’re being one of them, then there’s a good news for you is that these sectors are thriving in the 21st century. For the masses, mobile apps are lifesavers, undoubtedly. However, there’s an app for every possible need from booking ride to ordering food to texting to your buddies. 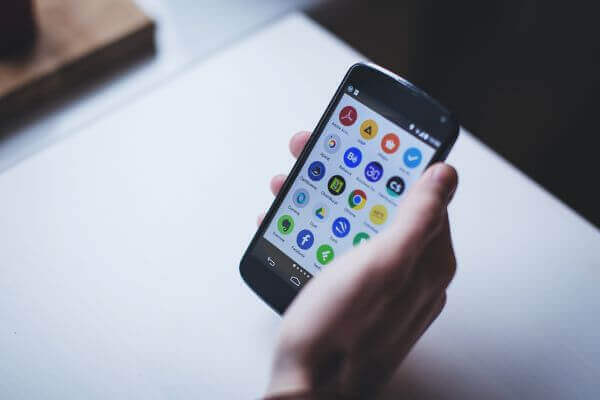 The first and the foremost, we’ll take you to show the statistics of one of the most popular mobile apps, in which you can see how these popular mobile apps have been doing so far. WhatsApp: According to the source, “Over 1.5 billion people use WhatsApp every day”. 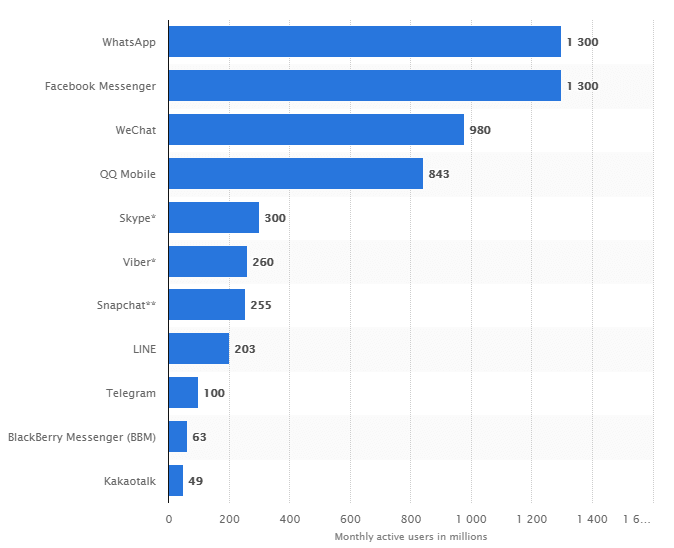 Also, you can see the total growth of messenger apps in which WhatsApp ranks at the top. 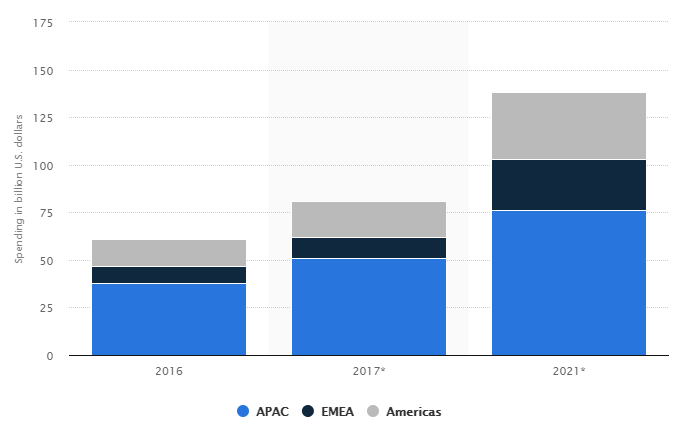 Worldwide Consumer Spending: As you can see in the below- given image, which shows statistics of worldwide consumer spending on mobile apps from the year 2017 to 2021. 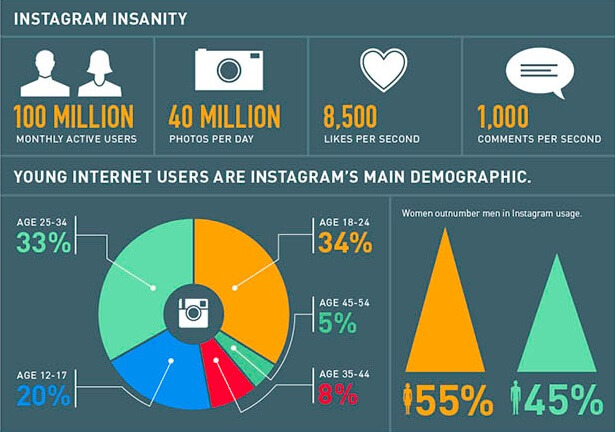 Instagram: Furthermore, Instagram has over 100 million photos and videos uploaded to the platform every 24 hours. Mobile apps have been continuously shaping the meaning and practice of entrepreneurship in the modern days. It is also undeniable that the enormous number of startups have been emerged every year with the hope to create a next WhatsApp, Instagram or Facebook. Before heading to the business of mobile applications, you just need to understand the financial side of the mobile business. Because there’s always a requirement to do a lot to keep up with. 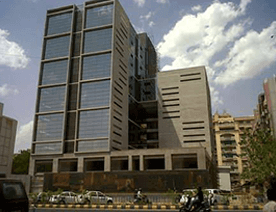 Financial Side: How Good Mobile Business is Doing? First of all, we’ll start with to explain you briefly about the Venture Funding, Its stages, and rounds. As these terms will help you to easily understand the statistics. 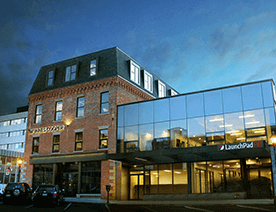 Venture Capital: A type of private equity or form of financing, which is provided by firms or funds to small/emerging companies, which are deemed to have high growth of potential. Also, it further divides into Venture funding stages and venture funding rounds, which you can see in the below-give table. Now, coming to the essence of entire blog post i.e. 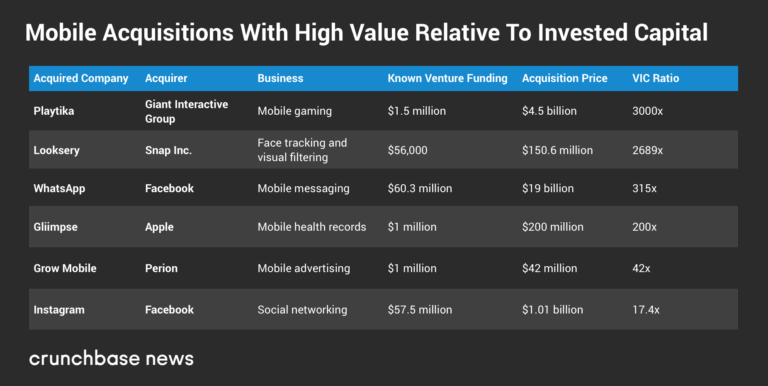 the financial side of mobile app business in terms of venture investment and returns. 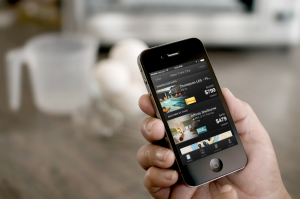 However, in order to get the whole idea about it, a reasonable understanding of the mobile market is essential. 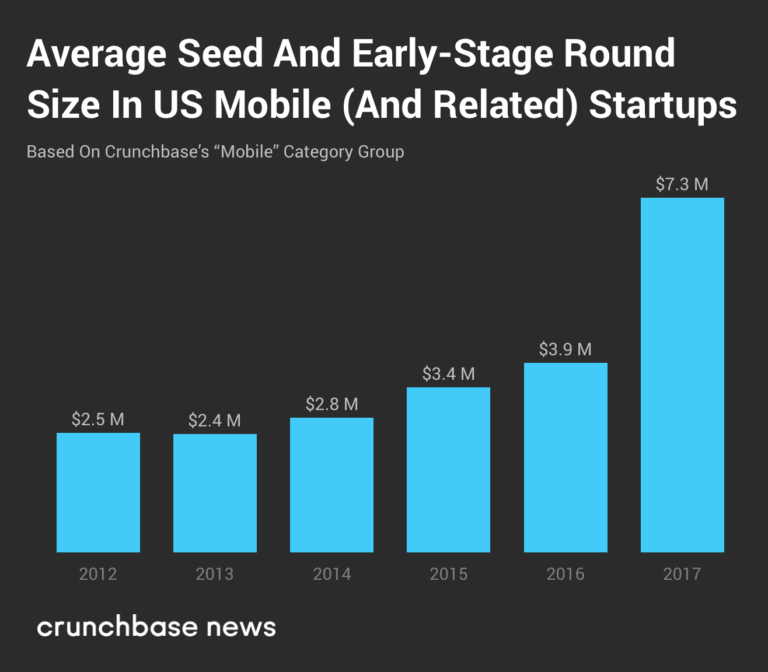 According to the reported data, which reveals that “Since 2012, the average-seed or an early-stage round of mobile app category has been growing”. As you can see in the below image. Over the past few years, one of the main trends is the emergence and growth of mobile-facilitated sharing economy. 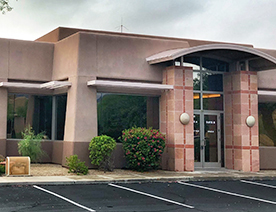 You might be familiar with the fact that ride-sharing services like Uber and Lyft have been grown with a wide range of services since its emergence. There’s no doubt in that the market of dockless bikes have emerged. Additionally, just in the quarter of 2017, LimeBike (a bicycle sharing company raised $50M in its Series B. On the other hand, China-based Mobike (a smart bike sharing app) has raised an amount of private equity fund from Line (Japanese-based messaging company). In this way, we can say that the mobile-centered apps in the sharing economy have been gaining growth since its emergence. Below, we’ve highlighted a few of the biggest M&A (Merger and Acquisitions) deals, in terms of exit multiples of mobile sectors. Well, all these companies were launched in 2003, and presently known as unicorn era. Most often, Venture Investors talk about investing in those companies, which will deliver 10 times return on invested capital. This goes without saying that doing so, and working on constantly, is a challenge. Being a startup, if you have not made up your mind as in which category in the mobile app could be advantageous for you, then invest in Taxi or cab booking apps like Uber as in the past couple of years, the category has gained huge popularity. 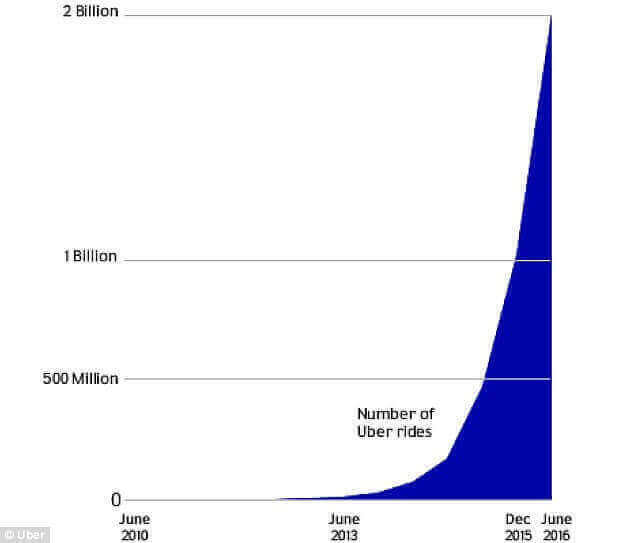 In the below image, you can see how Uber grows along with its popularity among users. No doubt, by investing in the category of ride-sharing apps can help mobile startups to achieve their business objectives. 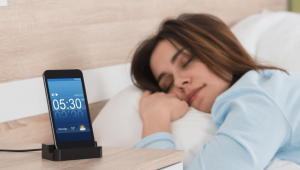 In the recent time, everyone is connected to on-demand services, whether it is ordering food or grocery products. Certainly, the on-demand economy is thriving constantly. 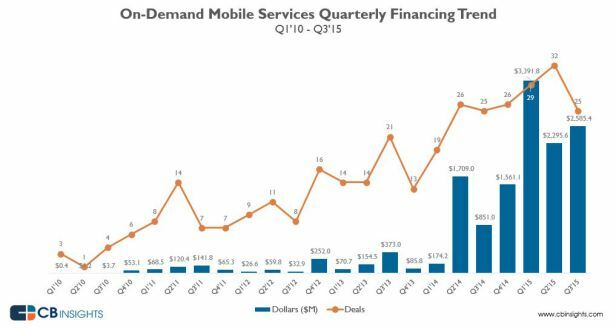 This is what you can see in the below image, which is comprised data of on-demand mobile services quarterly financing trend. On the other hand, “US consumers are spending $57.6 billion in the on-demand economy”, according to the data. However, if you have decided to invest in the apps under the category of ‘on-demand’, then this is the right time to invest. In the year of 2016, the music industry experienced its true growth. Majorly, this is because of music apps like Spotify (40 million subscribers) and Apple Music (20 million subscribers). Additionally, the music- streaming helps to drive 8.1% growth in revenue, specifically for the United States. Furthermore, music subscription boom will continue in the near future. According to the data from FastCompany, “100+ million people are believed to subscribe to music service”. 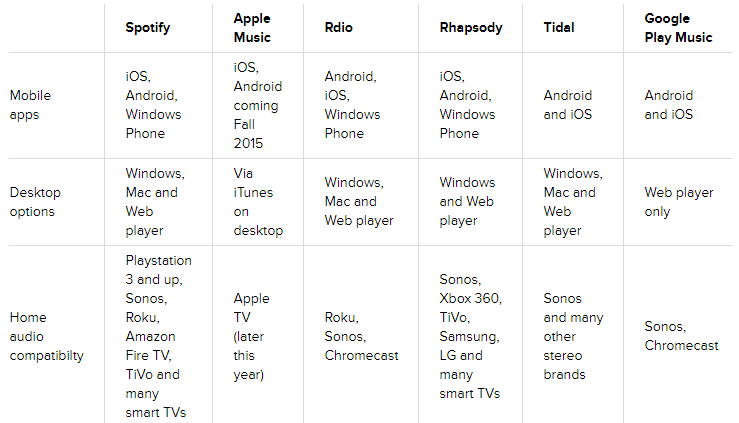 The bottom line: Choosing a music-streaming category in order to create an app could be a great idea to flourish your business model as a mobile startup. If your business is now ready to take a plunge in the mobile app development, then you may have a query like how can I choose the perfect development partner? In order to ensure the whole process goes seamless, here are few qualities that you need to consider during the selection process. Here’s what it could be – where to find trusted mobile app development company? All you need to do is don’t go with the agencies who emphasize on delivering the product at the cheap cost with less time. To get the best apps for your business, check the feedback and reviews from the previous clients before choosing the perfect development partner. You can ask for the work sample, which is similar to app’s idea, in which you’re currently working on. In this way, you’ll get the idea of how they are working and what you can expect from them. You need to make sure that you would not miss out to thoroughly check the technical skills of mobile app development partner. 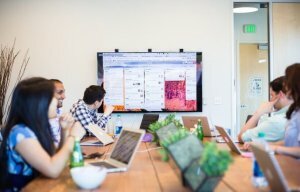 I have an idea for an app, but don’t know how to get started? How to figure out the right step for my first mobile app? I’ve been searching for a right firm to develop business startup apps. What would be the right category in which I should invest? You can consult us with your requirements and questions if you have any. Consultation won’t cost you a single penny! Just fill-up the below-given form and our business team will get back to you within 48hrs. This page was last edited on July 10th, 2018, at 3:22.